This doesn't solve the problem of a large maker space in Geneva, but it does solve the problem of how to get the other Innovation Labs really working for those members unable to easily get to Ferney-Voltaire and it provides something concrete as a partnership with our other innovation space friends around Geneva.Once things are up and running, we can decide if we need another physical space in Geneva, or if working collaboratively with existing spaces is sufficient.What do you think? Mass manufacturing has changed the world, but every process comes to an end. When something becomes “the only way to do things”, innovation kicks in and find a alternative.Open Source distributed manufacturing is that alternative. New, open source technologies have reduced the costs of machinery by a factor of tens to hundreds. Things that were complicated and expensive, like accurate positioning in 3D space, have become trivially simple and ridiculously cheap. The result is that it has become much less expensive to make individual customised objects – something that mass manufacturing cannot do at all.FabLabs, like this one, are described as a place when you can make “almost anything”. We know what the things we cannot yet make are, and many of the projects in these spaces are open source machines to overcome these limitations. Just in the last two years we have seen machines for knitting clothes, printing fabrics, printing concrete, and laminating wood/carbon fibre composites, as well as DNA sequencers, projects to grow bricks, produce all sorts of energy efficient vehicles, and build your own energy efficient houses.These projects are not developed by individual geniuses in their garages. The internet was designed as a collaborative tool, and has delivered magnificently. Local communities of people interested in making things have found each other online, and joined together to create physical spaces where they can collaborate together. These projects, in turn collaborate online in globe-spanning open source projects, creating amazing collaborative answers to problems that might not be solved in any other way.Right now it’s not for replacing the things you can buy in the shops, more for replacing the things you cannot buy in the shops. How often have you searched and not found the thing you were looking for? Simply not been able to buy a spare part, or not found a table the right size in the right wood. Those are the sorts of things maker-spaces can produce using parametric design and shared resources.In twenty years the very idea that you would buy something that is the same thing that any of your neighbours have will seem quaint, like Henry Ford’s “any color you like as long as it’s black”. You will be able to easily customise the object you want to suit your exact needs and have it quickly manufactured in your local fabrication centre. Or have a brand new thing designed just for you from scratch using open source tools, technologies and techniques.Around Lake Geneva, this is a work-in-progress. On the 27th of June 2015, the makers of the Lac Leman region unified for the first time to put on the “Leman Make” Festival. 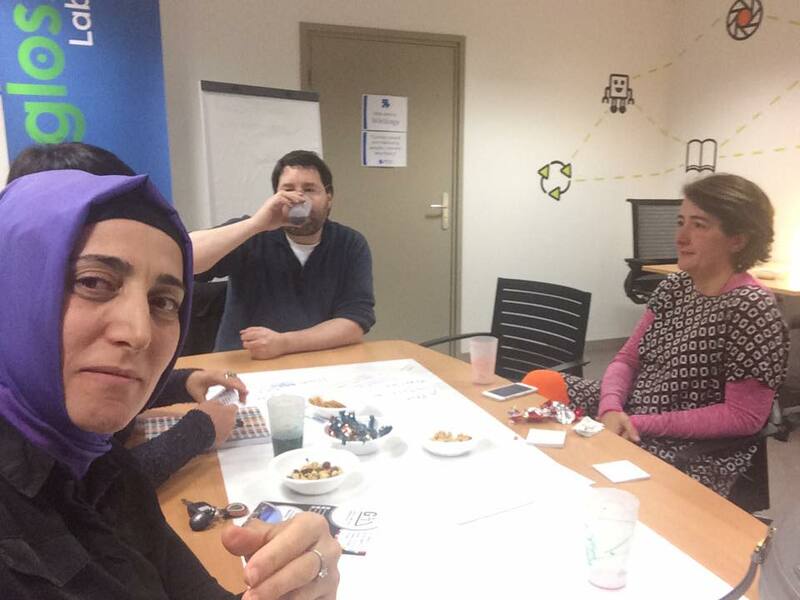 At the start, we knew of two hackerspaces in the region. One year later we had dozens of local fabrication spaces involved in the festival, all of whom were making stuff right here.Technology should be a slave, not a master. It’s time it stopped being exclusive – something for other people far away to master – came back home, and was made accessible to everyone. As children we were all taught to share, and it turns out that sharing really can change the world for the better.So the answer to the question “is Lake Geneva ready to make stuff again?” is definitely a resounding yes. We hope you’ll join in. We will be at the Salon des Associations at the COSEC in Ferney-Voltaire on Sunday, September 6, 2015 from 13h to 17h, to present our activities, including our initiation to robotics, 3D printing, and a presentation of the activities and upcoming events in our new creative space in Ferney-Voltaire. This is a great chance to come and meet local associations and stop by our booth. We have just opened our space for innovation and creativity in Ferney-Voltaire. While we work to design a unique experience for our users, we are every day improving day our equipment, layout and decoration, to be ready in the coming weeks to welcome you. In addition to the tools and machines, we seek to live the values of our association in this new space. Take the opportunity to join us and help create your space! Here's the usual set of links & videos from the show:For more information about 3D printing, MAKE magazine is a great place to start:To try 3D printing in Geneva, you can go to Post Tenebras Lab, the Geneva Hackerspace on any Tuesday night. It's open to the public from 19h00 and they even have a communal meal. You might even see me there. We've just completed a major upgrade to our 3D printing capabilities and have 3 new printers including a Lulzbot TAZ 4 (a really big one! ).There's the new Replik3D shop in Acacias. You'll find their website here. Give them a call before you go to visit them as they are very new and sorting out their opening hours. Their website is in French but both Matthieu and Giovanni speak great English. They sell 3D printers, supplies and do printing services and more. You can even get a 3D scanned bobble head made of yourself in full colour!You've also got Romain at Les Voisins coworking, and Sebastien at Onl'fait who both offer workshops and 3D printing services but you will need to speak French for these two. Here's the usual set of links & videos from the show:From the Mobile World Congress we had the LG Flex2 self-healing phone... https://www.youtube.com/watch?v=jjig8CkuenYBut this week is mostly about the Geneva Motor Show, which runs from the 5th to the 15th of MarchThe ED Design Torq - Electric Driverless Racing Car - which apparently could have a racing driver inside, but who'd want to without windows? https://www.youtube.com/watch?v=HP5MdxC8iJoBentley EXP10 Speed 6 with 3D printed parts https://www.youtube.com/watch?v=r8v5d9fmkSwThe Quant F and Quant Quantino Nanoflowcell cars have a range of up to 1000km between refills with ionic electrolyte fluid. https://www.youtube.com/watch?v=Q05Oc9M9V4oThe EDAG Light Cocoon (for the blinky light fans) https://www.youtube.com/watch?v=RoTIw9SMxOEThe Aston Martin all electric DBX concept https://www.youtube.com/watch?v=7r53N9cDv1cThe Swiss Rinseed Budii that will hand the steering wheel to you if you feel like driving https://www.youtube.com/watch?v=7GPkw_qdbjcThere is also the completely bonkers Koenigsegg Regera "hybrid" which does 0-400km/h <20 seconds https://www.youtube.com/watch?v=YWm8xEapjuQThere are 76 cars at the motor show which emit less than 95g of CO2 per kilometer, and most of them are in productionOh, and this week Apple launched the most personal computer ever designed. This goes on sale in France on April 10th, and in Switzerland "sometime in 2015" https://www.youtube.com/watch?v=y-waTi8BPdkSee you next week! Here's the usual set of links & videos from the show:For the Samsung Galaxy S6 and S6 Edge:https://www.youtube.com/watch?v=CnYtWWDor2sThe Virtual Private Network (VPN) comparison site I mentioned is https://www.bestvpn.comJust to be safe, I suggest you use either Paypal or an e-card (one time use card number) from your bank to make the payments to these companies. It's not that they aren't safe, but I've noticed that they come and go over time.Open source routers will allow you to VPN to your own home, but I won't give you a link. If you don't know how to find these, you shouldn't be attempting it. Surf safely!And remember - a VPN is just a pretend (really long) network cable.For details of the next Pangloss events click here. Here's the usual set of links & videos from the show:The Internet of Things market is expected to be huge, with pretty much all market forecasts in the high billions of dollars. By 2020, there are expected to be more than 100 billion devices connected.The home monitoring (air quality, temperature etc) system I have is from Netatmo My little drone is the Parrot Minidrone Rolling Spider, available from 1000ordi in Geneva for 135-7 CHF. They also have a range of Connected Objects and speak English (not a lot, but enough! ).The lighting system from Philips that's getting towards what I'd likeAnd of course, the build it yourself option with the Arduino Micro from Sparkfun and the FemtoduinoWe held the first Pangloss Labs Internet of Things meetup on the 23rd of February in Eaux-vives. For details of our next events click here. Here's the usual set of links & videos from the show:If you've ever wanted to fly like a bird you need to catch up with the BIRDLY bird simulator.https://vimeo.com/91069214And the amazing EPFL telescopic contact lense is here. 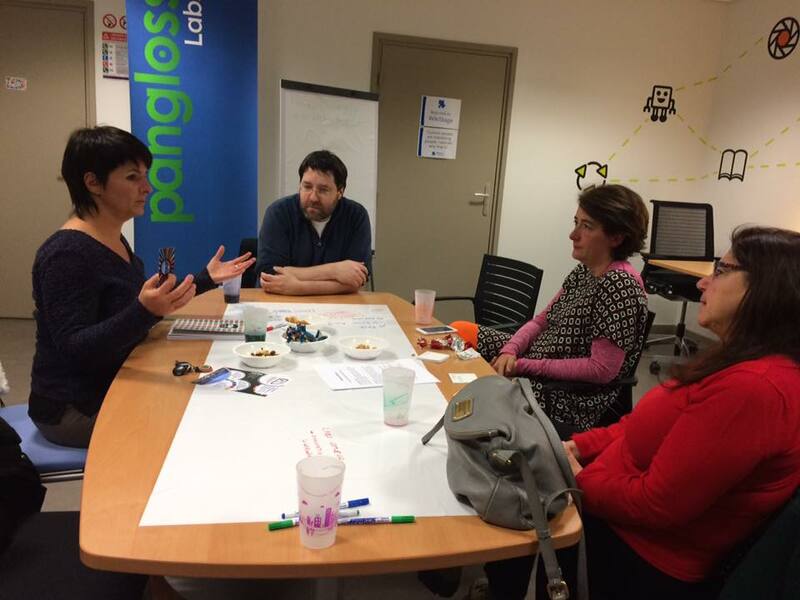 The Pangloss Labs Internet of Things meetup will be held on the 23rd of February in Eaux-vives. You don't need to be an expert - just bring an object and tell us how you'd like it to be connected (or not!) For details on this and all our events click here. Gadget Guru is a short weekly radio show on World Radio Switzerland that I do with Tony Johnston.Here's the show from February 10th, 2015:http://paulbristow.net/blog/wp-content/uploads/2015/02/2015-02-10-Gadget-Guru.mp3Here's the usual set of links & videos from the show:The totally brain-resetting LIFT Conference web site so you can see what you missed. The presentation from my workshop on Designing Alternative Currency Systems can be found on the Pangloss Labs site.The BikeCityGuide can be found in the app stores for iOS and Android, or take a look at their web site. The Geneva map basically goes from the Jura to the Saleve.You'll need to use google translate or the Chrome browser (which has google translate built in) to read the Norwegian findmysheep.com website, but it's worth it to find out how to get those 21st century cowbells.Being more serious, the European Space Agency Technology Transfer program is designed to bring space applications into our daily lives, so if you are a startup company, you'll want to take a look.You know about the awesome Solar Impulse project, but have you heard of Solar Stratos - using solar power to get to the edge of space? Another local project, as is Swiss Space Systems - who are hiring. The Pangloss Labs Internet of Things meetup will be held on the 23rd of February in Eaux-vives. You don't need to be an expert - just bring an object and tell us how you'd like it to be connected (or not!) For details on this and all our events click here. And here's your chance to get started designing your own currency: Loading... Thanks to everyone who participated and if you do create a new currency, let me know! Gadget Guru is a short weekly radio show on World Radio Switzerland that I do with Tony Johnston.Here's the show from January 6th, 2015:http://paulbristow.net/blog/wp-content/uploads/2015/01/2015-01-06-Gadget-Guru.mp3A few links from this show:If your new years resolution is to get fit there's no better way than eat less and move more. Technology can't (yet) stop you eating but it can help with the moving, so here are some of the fitness trackers you can get from Fitbit, Withings and Jawbone.Prices start from around 65 CHF. Or you can just use an app for your smartphone like Moves but then you must carry your smartphone all the time. If you put it down it won't track your steps.If you want to hack your life then If This Then That is the site you need. Make the internet work for you doing things that usually only coders can :-)If you want a heads-up on CES there is a useful CES preview at TechRadar. Plenty of wearables.My VOIP provider that lets me have a UK incoming phone number is LocalPhone but there are others, including Skype. As expats living on an international border having multiple incoming phone numbers in different countries can be useful.Here's the Octopus: http://www.youtube.com/watch?v=IvvjcQIJnLgand here's the four-finned robot cuttlefish:Next week we'll look at the output from CES. 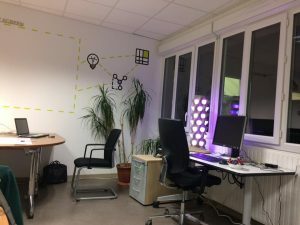 We are actively looking for a physical space to rent in the Pays de Gex.Somewhere around 150m2, we need a mixture of atelier (for the ecological fablab) and conference room.If you know of anything, please let us know. Gadget Guru is a short weekly radio show on World Radio Switzerland that I do with Tony Johnston.Here's the show from December 16th, 2014:http://paulbristow.net/blog/wp-content/uploads/2014/12/2014-12-16-Gadget-Dec-16.mp3You'll find Google Cardboard here.https://www.youtube.com/watch?v=wZXjoMMigJUInformation about the Ikea solar panels is here. Covering the making of videos, podcasts and photographs, including 360 or VR, from a practical and creative angle. Hands on building of anything. Prototyping, finished products and repairs. With digital fabrication machines from 3D printers to lasers to large format CNC machines. The Internet of things labs design and creates objects with embedded electronics that can connect to the Internet. The Urbanism lab promotes the interaction of the habitants of an environment and helps to improve the development, organization, life style, sustainability, transportation, housing, common spaces, etc. The health lab is interested in physical, mental and social well-being.